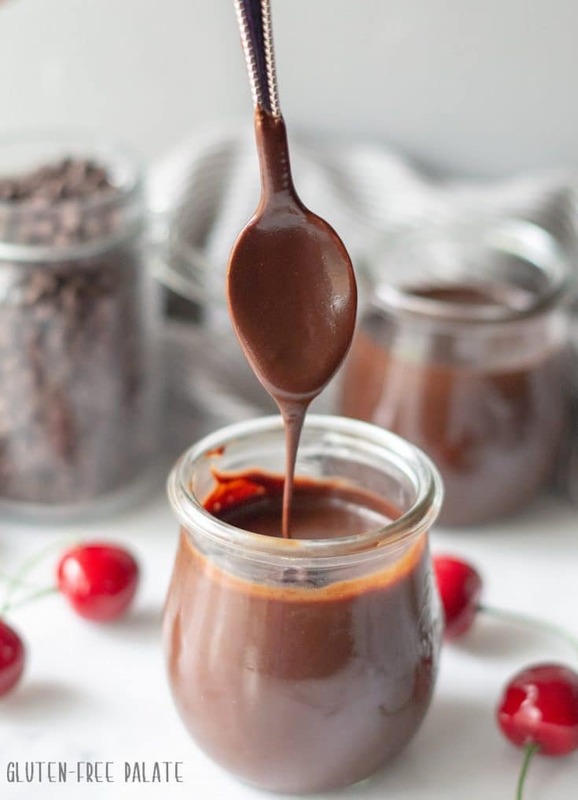 Rich, smooth homemade chocolate sauce made with four simple ingredients. 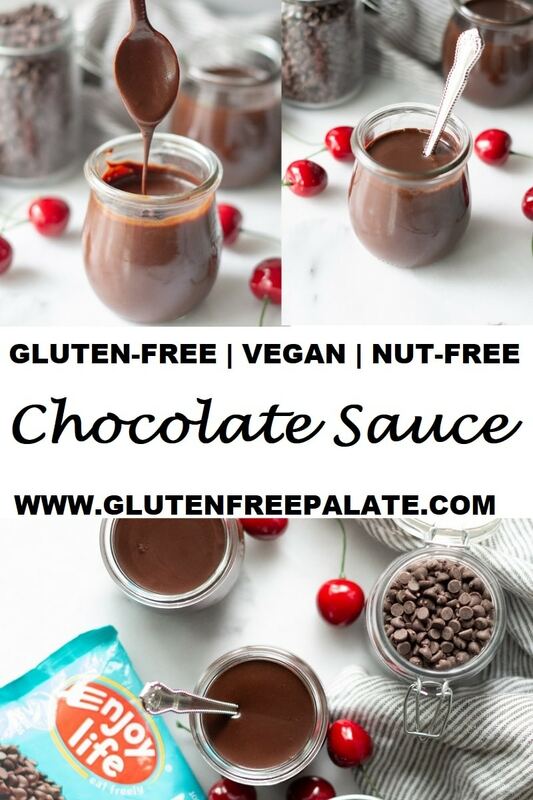 This chocolate sauce recipe is naturally gluten-free, nut-free, and vegan. This recipe is sponsored by Enjoy Life Foods. Opinions are my own. One of the many things I love about homemade chocolate sauce is that I know exactly what goes into making it. 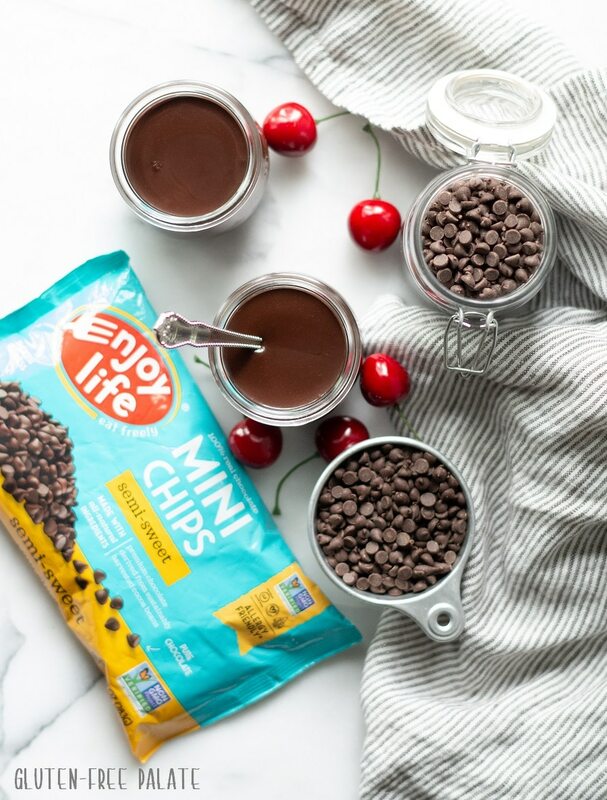 This particular chocolate sauce recipe is gluten-free, dairy-free, nut-free, and allergen friendly thanks to the Enjoy Life Foods Semi Sweet Mini Chips. It’s also the best chocolate sauce for ice cream, in my opinion. Enjoy Life baking chocolates are certified gluten-free, free-from 14 common allergens, verified Non-GMO, certified kosher, AND certified vegan and paleo-friendly, making them a dessert solution for individuals with many different types of dietary restrictions. With two kiddos in the house we are always looking to celebrate holidays, like Valentine’s Day. And what better way to celebrate then with chocolate? 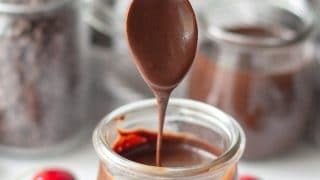 This chocolate sauce is not only amazing on ice cream, you can drizzle it on any dessert, or mix it into your coffee for an extra special mocha-like treat. Chocolate syrup and chocolate sauce are two different things. Chocolate sauce is traditionally made with chocolate and cream and chocolate syrup traditionally has corn syrup added to it (and sometimes corn starch). Chocolate sauce tends to be thicker while chocolate syrup is thinner/runnier. Traditional homemade chocolate sauce recipes call for corn syrup and corn start. Both thicken chocolate sauce. In this recipe, the combination of the chocolate morsels and the sugar help to thicken it. This chocolate sauce recipe doesn’t use corn syrup or cornstarch. The combination of ingredients in this chocolate sauce recipe is what makes it thick. It’s not fudge sauce thick, but it’s not runny. Hot fudge sauce is a thick chocolate sauce. To make this chocolate sauce recipe into hot fudge sauce use a heavy coconut cream, or full fat cream (if you can do dairy) in place of the dairy-free milk. It will start to thicken as soon as the cooling process begins. This homemade chocolate sauce will last about 2 weeks in the refrigerator. Store bough chocolate sauce usually lasts 6 months. 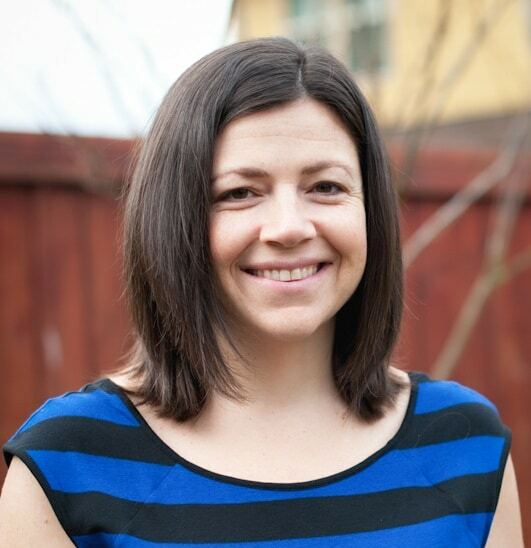 Be sure to check the label for actual shelf life and allergen information. I like to store chocolate sauce in jars or other glass containers. 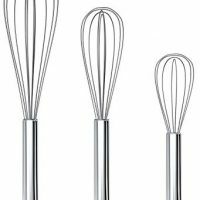 This allows me to reheat them quickly in the microwave and it keeps them fresh, longer. 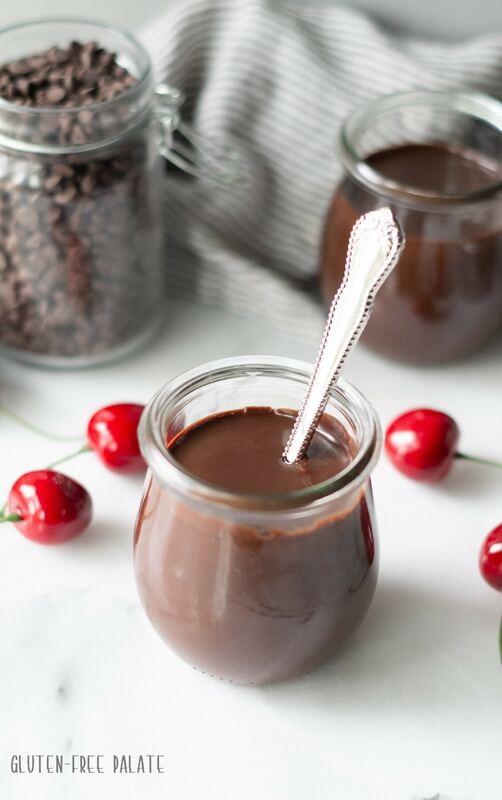 The jars featured in this chocolate sauce recipe were purchased from Crate & Barrel. You can leave out the vanilla extract but I think it adds more depth to the chocolate sauce. In a small sauce pan bring sugar and dairy-free milk to a boil over low heat, stirring constantly so sugar doesn’t burn to the bottom of the pan. 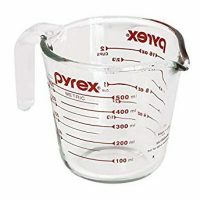 Allow to boil for one minute, continuing to stir. Remove pan from the heat and add in semi-sweet chocolate chips and vanilla. Bring to room temperate before serving. 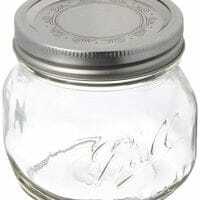 Store in a glass jar in the refrigerator for up to two weeks. That’s it. Easy, right? This chocolate sauce recipe only takes about 5 minutes to make, but I added in additional time for cooling. Speaking of chocolate, Enjoy Life Foods recently launched NEW Valentine’s Day Chocolate Minis. 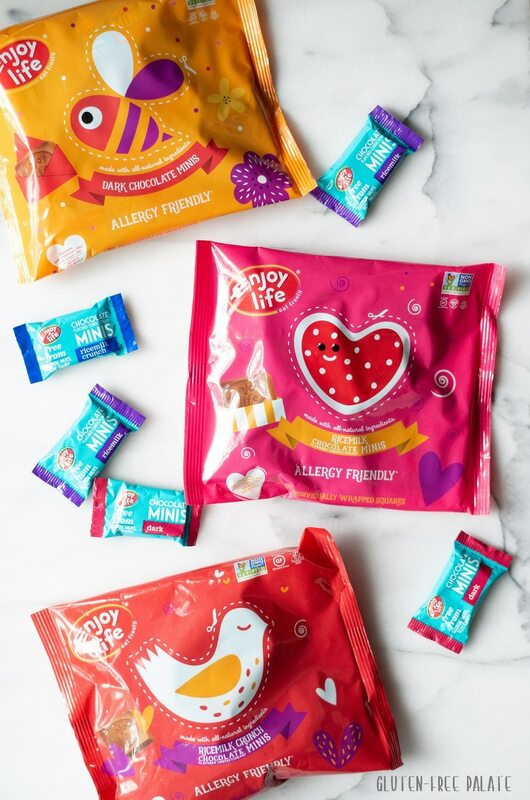 Available in Dark Chocolate, Ricemilk Chocolate, Ricemilk Crunch, and a variety pack, they are the perfect solution for classroom valentine’s, special treats for your loved ones, and more. 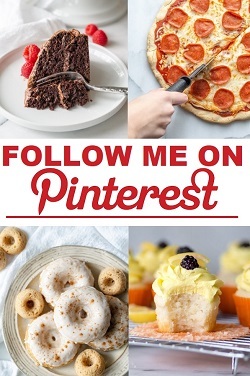 You can also use them in this recipe, but I recommend sharing these minis with your loved ones and friends this Valentine’s Day. Looking for more recipes to drizzle this yummy chocolate sauce over? You might like to top this Gluten-Free Brownie Pudding Toffee Trifle with it. If you’re looking for a hot fudge sauce recipe check out Allergy Free Alaska’s Rich & Decadent Dairy Free Hot Fudge Sauce. If you make this chocolate sauce recipe, please stop back by and let me know what you thought. Rich, smooth homemade chocolate sauce made with four simple ingredients. In a small sauce pan bring sugar and dairy-free milk to a boil over low heat, stirring constantly so sugar doesn't burn to the bottom of the pan. For a thicker chocolate sauce, use full fat coconot milk or heavy cream instead of dairy-free milk. I want to grab that spoon and enjoy this right now!! This looks so good! I just made gluten-free chocolate chip waffles that this would be perfect on!! This sauce would go great on My Gluten-Free Kitchen’s chocolate chip waffles I just made the other night! 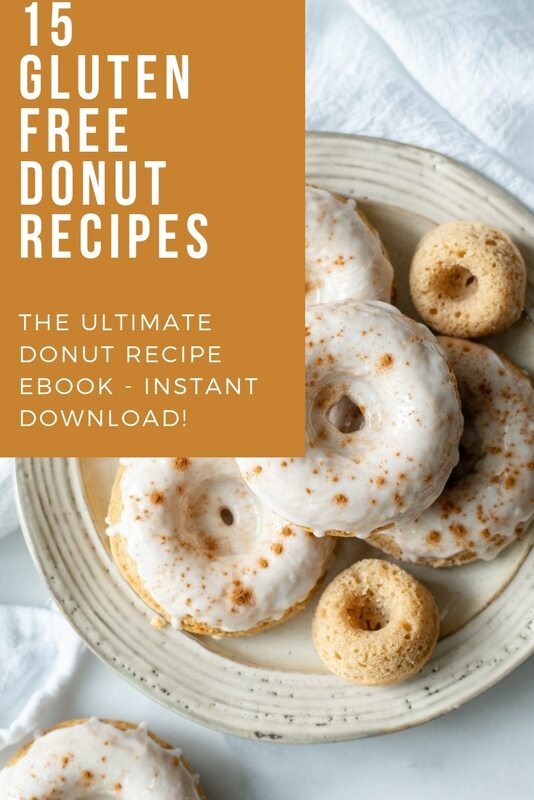 Since they’re in my freezer, i may just have to make a batch of your sauce and have this for “brinner” on Valentine’s Day!